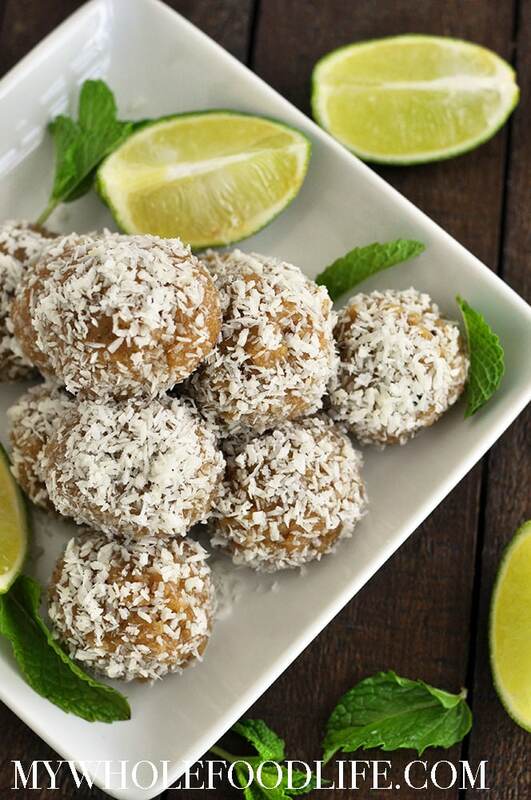 Coconut Mojito Energy Bites. I just LOVE mojitos in the summer. I make them often and I always seem to have mint and limes in the house. So I thought I would bring those flavors into an energy bite recipe for you. I thought coconut would go really well with the flavors of mint and lime, so I added that in as well. I hope you enjoy them!! If you need to make these nut free, you can use sunflower butter and another flour in place of the cashew butter and almond flour. Most flour substitutes should work. The only one I would not try to use is coconut flour. It can be a very tricky thing to sub in recipes. Do you love all things lemon blueberry? If so, you will love these Lemon Blueberry Energy Bites! They are the perfect little bite of deliciousness. 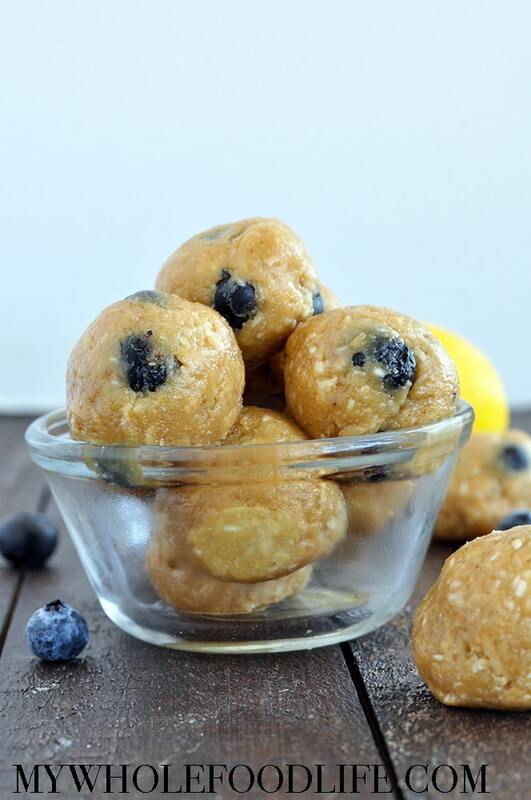 These Lemon Blueberry Energy Bites are packed with healthy fats and protein to help fuel you through the day. These healthy bites are a cinch to make too. They are vegan, gluten free AND paleo friendly as well! I hope you love them as much as we did. Ours didn’t even last one day. If you want to add even more nutrition, you can also add chia, flax or seeds to these. If you choose to do that, you may need to adjust the liquids as well. I used roasted and unsalted cashew butter when making these. If you use unsalted, I suggest adding a little salt to the recipe. Maybe a pinch? I love all things lemon. 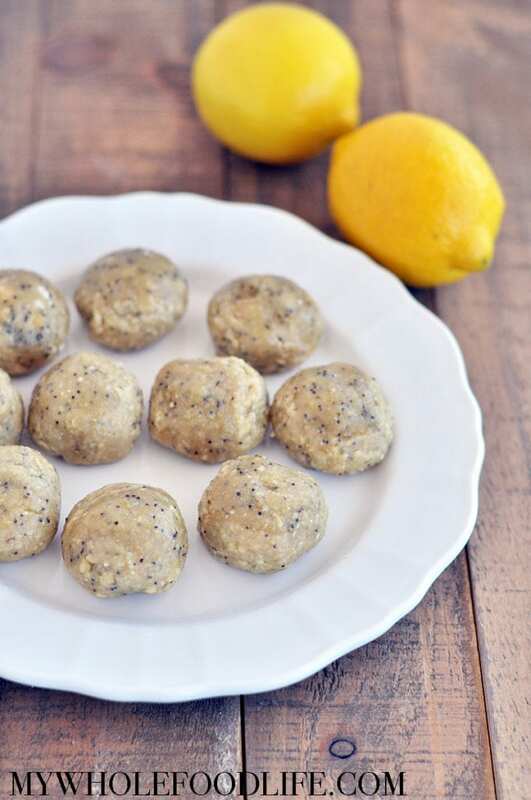 These Lemon Poppy Seed Energy Bites will not disappoint. Big and bold lemon flavor + protein and healthy fat to keep you full. Lemons are so versatile. They work in salad dressing, in cookies and also in salads! 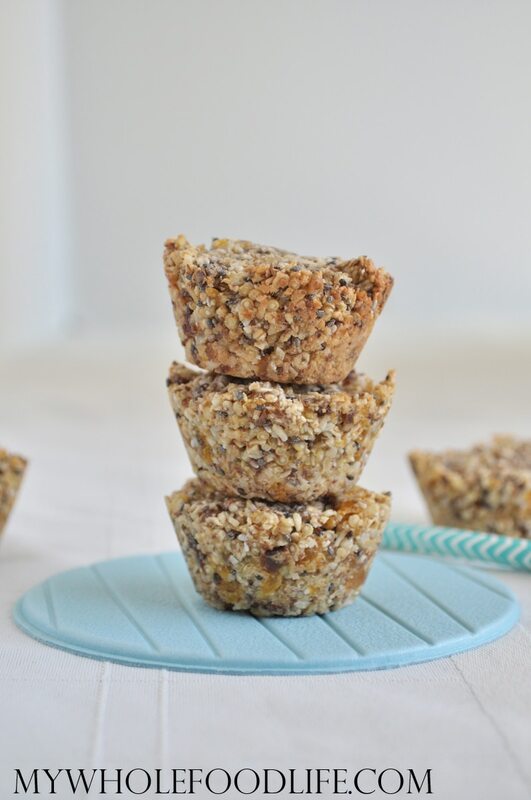 These healthy bites are vegan, gluten free, grain free and paleo friendly. They only call for a few simple ingredients and there is no baking needed! Have you indulged this holiday season? I know I have! 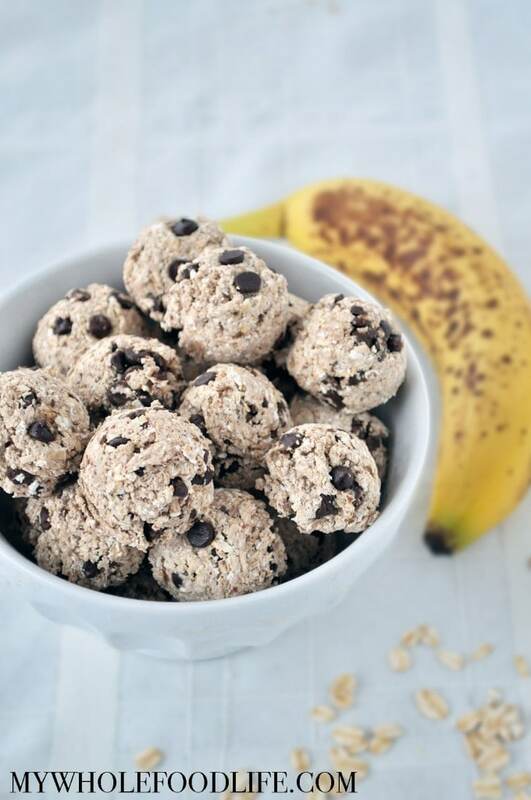 Well today I have a healthier snack option for you with these Banana Chocolate Energy Bites. They only contain 4 simple ingredients and zero refined sugar! These are very kid friendly as well. If you want a version without grains, you can try this recipe instead. If you love energy bite recipes, try my chocolate cherry energy bites as well. Those are my fave. These healthy energy bites are vegan and gluten free. They would make a great pre or post workout snack. Or an after school snack for kids. Since this recipe is also nut free, it’s a great choice for school lunchboxes. If didn’t want to add the chips that would be fine too. I can also see raisins going really well in these. The beginning of the school year is approaching. So I made these Nut Free Snack Bites for you. They contain no nuts, so they are perfect for school lunchboxes. Not to mention, delicious! My kids loved them and they also liked helping to make them. If you are looking for more nut free treats, you may also like my banana bread baked oatmeal and my nut free truffles. These energy bites are perfect for when you need a pick me up. They are a super cinch to make too. Since the school year is fast approaching, I thought I would share some of my favorite school lunch supplies. You can check them out in this post. In addition to being nut free, these are actually gluten free and vegan as well. The recipe is super adaptable, so you can add in whatever you like. Shredded coconut or chocolate chips come to mind as add ins for me. Homemade Aussie Bites. Have you heard of Aussie Bites? It’s a treat made from Costco. I made you some Homemade Vegan Aussie Bites! I have actually never had the real thing, but people in my Facebook group have been raving about them! So I made my recipe based off the ingredient list. My recipe is easy, has fewer ingredients, no flour and no oil! These are seriously good you guys! You need to try them. 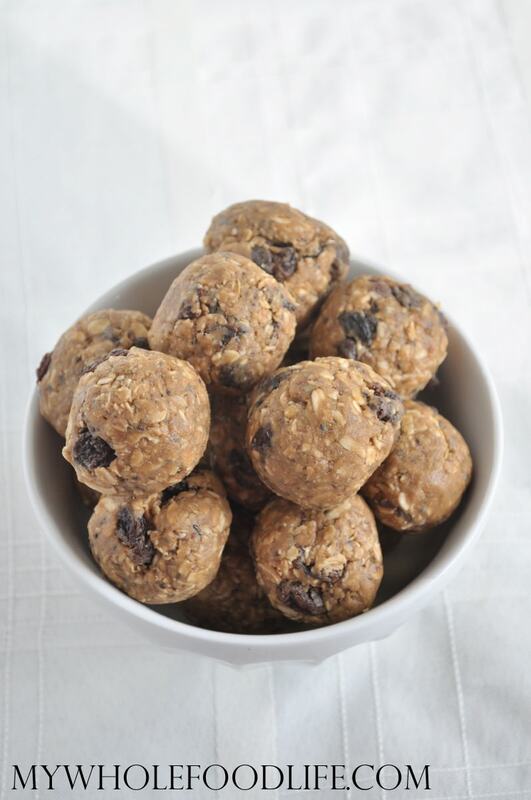 If you like energy bites, you may also like my Almond Joy Energy Bites or my Grain Free Energy Bites. These are a must try! This recipe is also very adaptable to add in whatever flavors you like. It would make a great pre or post workout snack too. I imagine they freeze well also, so double the batch if you like.